Arrive Coimbatore and transfer to Ooty by road, the Queen of Hill stations. Proceed to your hotel and rest of the day is at leisure to explore this picturesque hill town of Ooty. Overnight at hotel. Go for local sightseeing in and around Ooty like Black Thunder, Botanical Garden, Rose Garden, Lake, and Deer Park, The Dodabetta Peak stands at an altitude of 2,623 meters. It is the highest point in the district, making it possibly the best vantage point around Ooty. It is merely 10kms from Ooty so you can simply grab your camera and head straight to the peak, and click amazing pictures of he valley below. and back to the hotel and stay overnight. 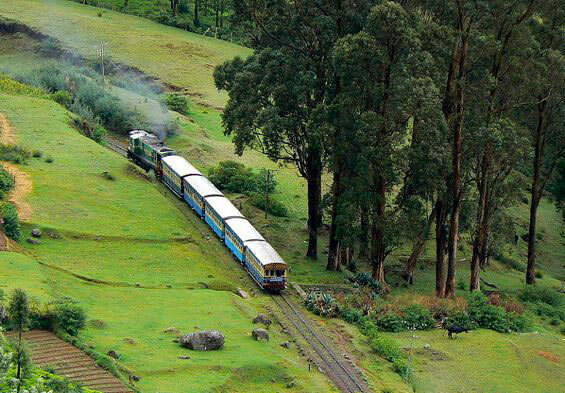 After breakfast day is free for leisure or taken an optional toy train to Conoor, Conoor Tea Gardens, Coonoor is a famous hill station that is 17 kms from ooty. 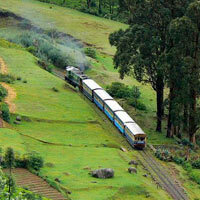 It is probably the second most popular hill station in the Nilgiris. The hill station stands at a height of 1839 meters and is known for its great picnic spots and picturesque surroundings. Overnight stay at Hotel. Morning after breakfast check out the hotel & drive to Coimbatore Airport / Railway Station to board scheduled train / flight to onward destination. On departure tour concludes with happy memories. Any portage at Airport & Hotel tips, Laundry, Mineral Water, Telephone charges & all items of personal nature & meals & drinks not specified in the inclusions. Entrances fees to the monuments or Guide charges. ~^#^~~^#^~The Package is applicable only to Indian Nationals. A minimum package of 02 persons is required. Children above the age of 12 years will be charged the applicable adult rates. All rates are for standard rooms & bookings subject to availability. Rates are subject to change. Tour confirmation only on receipt of full payment. Cancellations received within 72 hours of the scheduled arrival are not entitled to any refund. Note: A Govt. Service tax of 3.09% would be applicable on the total package cost.